The SHSU community and universities from across the state will come together to discuss race, ethnicity, cultural education and sexual and social issues during the 5th Annual Diversity Leadership Conference Feb. 20-21 on the SHSU campus. Each year, the conference attracts more than 200 students from across the state to attend diversity-training workshops and hear guest speakers, according to Ashley McDonough, program coordinator for the Office of Multicultural and International Student Services, which sponsors the event. This year, Texas State University System Regent Dora Alcala will serve as one of the event’s key speakers, along with Mike Domirtz, who will discuss healthy dating and sexual consent; and Justin Jones-Fosu, who will give a motivational leadership presentation. “The purpose of the Diversity Leadership Conference is to promote diversity dialogue among and between college campuses in Texas and beyond,” McDonough said. “The conference gives voice to many issues arising on college campuses today in regard to multiculturalism and diversity education. “The DLC is important for faculty, staff, and students alike to interact and participate in facilitated workshops that urge attendees to think deeper about diversity education and how we are all affected by diversity in one way or another in our increasingly globalized world,” she said. Registration for the conference is free for SHSU students, faculty and staff before Feb. 6. After the deadline, the cost is $20. Registration will also be held on the day of the conference. Participants will receive a T-shirt, shoulder bag, school supplies and other giveaways. Registration forms are available online, at http://www.shsu.edu/~miss_sa/v2/dlc.html, and should be returned to the Office of MISS, located in the Student Activities office, in Lowman Student Center Suite 328. For more information, call the Office of MISS at 936.294.3588. A poet and an expert on author Flannery O’Connor will visit the SHSU campus for a reading and a lecture on Thursday (Feb. 5) and Friday (Feb. 6). Poet Alice Friman will read from her works on Thursday, at 7:30 p.m. in Austin Hall. She earned her bachelor’s degree at Brooklyn College and her master’s degree from Butler University. On Friday, one of the country’s premier scholars working with the fiction of Flannery O’Connor will discuss "Living Through the O'Connor Wars: Finding a Middle Ground." 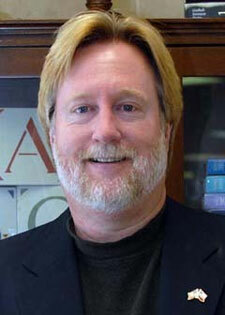 Marshall Bruce Gentry’s lecture will be held at 2 p.m. in Austin Hall. He previously taught at Texas A&M and the University of Indianapolis, where he also served as chair of the English department. Gentry earned his English degrees from the University of Arkansas in Fayetteville, the University of Chicago, and the University of Texas at Austin, where he earned his doctorate. Both events are open to the public. For more information, contact English professor Robert Donahoo at 936.294.1421 or eng_rxd@shsu.edu. SHSU president Jim Gaertner visited the students in the Puebla Field School program last summer. The College of Business Administration and the Spanish program will offer classes in Mexico this summer. The sign-up deadline is March 30. SHSU will offer students the opportunity to take their studies to Mexico over the summer as part of the Pueblo Field School program. A number of Spanish and business classes for the first summer session will be held in Puebla, Mexico, from June 9 to July 7, according to Frieda Koeninger, Puebla Field School director. The College of Business Administration will offer courses in “International Economics and Finance” and a “Seminar in Small Business Management,” both taught in English by Ulyses Balderas. Spanish classes will include “Conversational Spanish II” and “The Mexican Short Story,” taught by foreign languages department chair Debra Andrist; and “Intermediate Spanish I,” taught by Koeninger. While in Mexico, students will have the option of staying at a hotel or with a family. 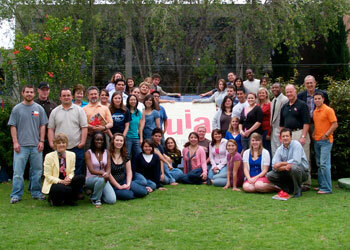 The family-stay arrangements are made through the Universidad Iberoamericana, where classes are held. "The family-stay is a huge success because students become very close to the families,” Koeninger said. “They really spoil our students." Participants will also take a variety of field trips during their time in Mexico, including to the Volkswagen factory, the Teotihuacán pyramids, the National Museum of Anthropology and the Frida Kahlo museum, among others. The cost of the program is $1,670 for the home stay, which includes all meals, or $2,170 for the hotel stay, which doesn’t include meals. Both prices include the airline ticket and a number of field trips. Students will also be responsible for their own passports, which are now required for travel in Mexico. Koeninger said students will be back in Huntsville in time to take classes during the second summer session. The sign-up deadline is March 30. The Puebla Field School program began in the 1940s and, after a 20-year hiatus, was reinstated in 1996. For more information, or to sign up, contact Koeninger at 936.294.1443 or fol_fck@shsu.edu. The SHSU Army ROTC will share the “gift of life” with troops in Afghanistan and Iraq through a blood drive on Monday and Tuesday (Feb 9-10). The drive, open to both the Bearkat and Huntsville communities, will be held from 9 a.m. to 3 p.m. on both days in the Lowman Student Center Ballroom. “All of the blood is rushed to Afghanistan usually by Wednesday or Thursday, so donors can actually save a soldier's life the same week they donate,” said 2nd Lt. Travis Cline, Bearkat Battalion gold bar recruiter. Donors must bring a valid picture identification in order to give, must weigh at least 110 pounds and should be in general good health, without any cold or flu symptoms. For more information, call the military science department at 936.294.1306. The event will be held from 10 a.m. to noon in the Lowman Student Center Mall Area and from 12:30 p.m. to 2 p.m. in Lowman Student Center Room 315. Led by Student Activities’ Greek life coordinator Klay Camp, the event will focus on “how drinking and drugs can make you a different person than you normally are when you are sober,” according to Lisa Joyner, ADAI assistant. During the event, participants will also create a mask that portrays what they are like when they are too intoxicated. “Masking Your Own Mistakes” is part of the ADAI’s Six Weeks of Alcohol Awareness Training program, an educational series aiming to increase awareness of alcohol abuse issues among students. Through the program, students earn prizes by attending events, which accumulate as students attend more programs. For more information, contact Rosanne Keathley, ADAI coordinator, at 936.294.1171 or org_aai@shsu.edu. Keith Mahon, senior geological adviser for Anadarko Petroleum Corporation in The Woodlands, will discuss “Petroleum System Modeling in the 21st Century" on Tuesday (Feb. 3). The physics colloquium lecture will be held at 3:30 p.m. in Farrington Building Room 101. Mahon has worked at Anadarko since 2005. He previously worked as a research associate professor at the University of Houston, as a senior research geochemist with ExxonMobil’s Upstream Research Company and as an engineer with Hughes Aircraft Company and the Northrop Corporation, according to his vita. He earned his bachelor’s and master’s degrees degree at the State University of New York at Albany and his doctorate in geochemistry at the University of California, Los Angeles. For more information, call the physics department at 936.294.1601. While many students use the library as a place to study or simply find books, the Newton Gresham Library is also a resource for a host of workshops that provide students and faculty members research tools to make their studies easier. Library tours that familiarize students, faculty and staff members with its resources and services are held weekly Tuesdays through Thursdays at 10:30 a.m. and 2 p.m. Laptop clinics, offered by appointment, teach how to configure a laptop to access electronic reserves, the library catalog, research databases, e-mail and other resources through the campus network. Through the laptop clinic, students can bring in a laptop, wireless card, and software, or check out a laptop or wireless card through the Reserve desk, and the NGL support team will show how to set it up for the library's wireless environment. In addition, students from all academic backgrounds can learn how to utilize the research databases in a number of fields throughout the semester, including in business, education, history, foreign languages, the humanities, science, psychology, sociology and criminal justice. Workshops are offered on a variety of dates in February or March or can be given by appointment. The NGL also teaches students how to utilize such research tools as RefWorks, a citation management program; Reference Universe, which searches materials such as dictionaries, encyclopedias, atlases and handbooks; and E-Z Search, the library’s newest search engine that searches a variety of fields at once. Faculty members can learn to use Turnitin, a plagarism detection tool, during workshops on Feb. 19 and Feb. 25, at 2 p.m. and 3 p.m. respectively. All workshops can also be scheduled by appointment. For more information on library workshops, or a complete list of dates and times, visit http://library.shsu.edu/about/tours.php. The SHSU trombone ensemble will perform a variety of music, both conventional and unconventional, during the School of Music’s only recital for the week, on Monday (Feb. 2). The concert, which will be held at 7:30 p.m. in the Music Building Room 202, will feature trombone majors, brass faculty members Allen Barnill and Henry Howey, as well as guest performer Griffin Winkworth. “The repertoire will vary from a 20th century piece for unaccompanied solo trombone, jazzy pieces for two, four and six trombones, to more conventional music by Bach, Beethoven and Bruckner played by a 14 member trombone choir,” said Barnhill, who is also a principal trombone with the Houston Symphony. Richard Watts, professor and director for the Center for Research and Doctoral Studies in Counselor Education, has been selected to receive the American Counseling Association’s David K. Brooks, Jr. Distinguished Mentor Award. Watts will receive the award during the ACA Conference in Charlotte, N.C., on March 22. Watts said that because the ACA is the flagship organization for the counseling profession, the SHSU program and department will receive “excellent visibility,” as SHSU will be listed in the main ACA conference program, in the awards ceremony program and will also be published in “Counseling Today,” the national news magazine of ACA. Watts has taught in the counselor education doctoral program since 2005. He is the author of more than 100 professional publications and has received numerous awards for his scholarship and service to the counseling profession. He is also the editor of “Counseling and Values,” the professional journal of the Association for Spiritual, Ethical, and Religious Values in Counseling, a division of the American Counseling Association.